Free to play has launched, but what does that mean for the player who wants to be a free to player yet also do operations on occasion? Well, in order to do so you are going to need access to cartel coins so one way or another you’re going to have to pay or have amassed some during the time you were a subscriber. Let’s see how much it will cost. 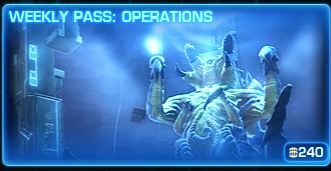 The first thing you are going to need to purchase is the weekly unlock for operations. This costs 240 cartel coins and you’ll need to purchase it for the week(s) you are wanting to do ops. At an exchange rate of about $5 per 450 cartel coins, you’re looking at close to $2.50 each week you purchase this. Obviously, if you are buying this every week at ~$10 a month you are better off becoming a subscriber since it is only $5 more a month. 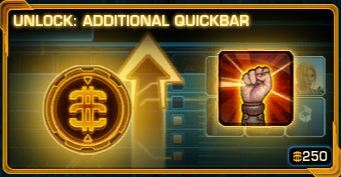 With your subscription you will get a stipend of 500 cartel coins worth about $5 so it evens out in the end. If you only do an ops once or twice a month, however, it still may be worth it to buy the weekly pass on the weeks you do decide to do one. 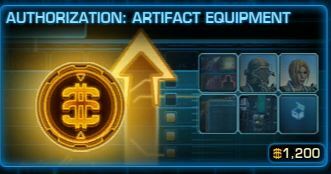 The next investment that must be made is a whopping 1200 cartel coin authorization unlock for Artifact Equipment. This will allow the purchaser to wear epic level items (purples) which is required for anything beyond story mode Eternity Vault (EV) or Karagga’s Palace (KP). If you’re content running those operations over and over again then you could possibly skip this, but you’ll never be able to use any of the gear that drops. Fortunately, this is a one time unlock for about $15 in real money. If you’re a former subscriber you may be able to afford this with the cartel coins you have amassed when you were still playing. From what I understand, former subscribers will also be able to continue to use the gear they obtained before they went free to play. They just won’t be able to use any new gear that drops. Being limited to 2 quickbars as a free to player may be a little difficult for classes with a lot of abilities. Cramming everything together into those 24 slots is doable, but for organizational purposes it may be easier to buy an additional quickbar or two for 250 coins each. Having additional inventory storage space is also useful, especially when sorting through gear and mods. You can expand your personal inventory slots by 10 for 175 coins up to 80 slots. In addition, bank access will cost 475 coins as well as any additional bank tabs. They may not be as essential to operations, but these unlocks will certainly make in-game life easier. If you are at all serious about doing operations, you’ll come to the same conclusion as I have. With all the prerequisites that are involved in being a regular in an ops group it is just more efficient to pay $15 a month. By doing so you aren’t restricted in PvP which actually have some best-in-slot relics for PvE content. You are also unrestricted in your Flashpoint rewards for daily and black hole commendations. That being said, if you are able to pull off doing operations in accordance to a play style that works for you without having to subscribe them more power to you!